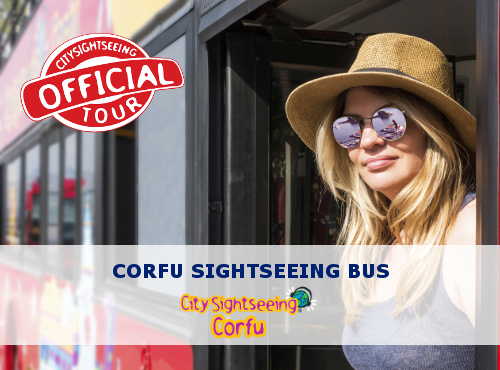 Corfu City Pass would like to welcome on board the Corfu Sightseeing Bus & Tours! Hop on one of the Corfu sightseeing red buses and feel the rhythm of the life and the culture of Corfu city. See and hear the Corfu’s rich history, experience the famous sights and monuments. With two beautiful lines, you can enjoy the view from Kanoni to Mouse Island and Vlacherna monastery, maybe the signature of Corfu, or you can visit the well known Achillion palace and relive the story of Empress Elizabeth of Austria (known as Sissy). With daily tickets you have the flexibility to explore the city sights at your leisure and at your own pace while friendly staff will be at your disposal to provide any relevant information.